The Asia 360° membership is designed for Asia investors and money managers. Members get access to our model portfolio and research: reports of our favorite countries, sectors, industries, and companies in the region. One Road Publishing Ltd. Pte. requires its staff to wait 24 hours after an investment recommendation is published online before taking action. We do not receive (directly or indirectly) any revenue from any introduction of customer business to brokers. We receive only subscription fees for our research services. The indicators, strategies, reports, articles and all other features of our products are provided for informational and educational purposes only, and should not be construed as personalized investment advice. We encourage all readers to limit their risk through the use of trailing stop losses. Our monthly special report where we highlight our favorite stock for the month, poring over the stock's background, financials, forecast, and valuation. Since gaining independence in 1957, Malaysia has successfully diversified its economy from agriculture and commodity-based to a robust manufacturing and service-based sector powerhouse. What makes South Korea one of the most innovative and successful economies in Asia? Inside, we review South Korean macroeconomic realities, including a broad review, challenges, and downstream industries. In December, we spotlight a South Korean company that has become a world leader in the health appliances industry, particularly in the air and water purification markets, which are both rapidly growing. This month, we spotlight an Thai company that we believe can capitalize on the strength of the Thailand economy’s improving fundamentals. Our team has poured over data and cross-verified their projections to deliver this proprietary research to you. This month, we spotlight another Indonesian company that we believe has great fundamentals and can capitalize on the strength of the coal market. This month, we spotlight an Indonesian company that we believe has great fundamentals and can capitalize on the strength of the coal market. We're happy to present to you this month's Asia Insider Report (July 2018 issue), which focuses on a Chinese company that is well-positioned in China's growing 'Big Brother' industry. China is injecting large sums of cash into their technology industry as part of their 'Made in China 2025' Initiative, and some companies are undoubtedly going to experience massive growth from this special government treatment. The Asia Insider Report is our exclusive, proprietary investment guide that’s researched, drafted and designed with the specific aim of helping you make the most informed and rewarding investment decisions possible in Asia. 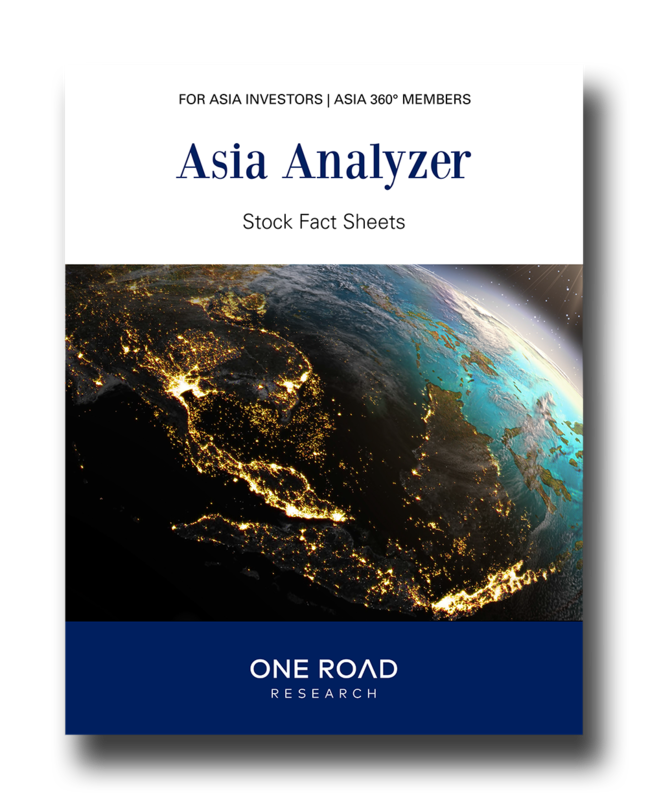 Please see our User Guide for utilizing your Asia Analyzer stock fact sheets.